"Drop The Boy" was the third single release from 80s pop trio Bros, and became their second consecutive No.2 hit single in the UK charts. It was released from their 4 x platinum debut album Push on 7th March 1988. The song features a hip hop style groove (it's not full-on hip hop, but it certainly borrows from the style that was popular in the late 80s) and bucket loads of growly vocals which you either love or find highly irritating. Now that I'm over half a century old, I find the video rather headache-inducing, as it relentlessly switches between close-ups of Matt, Luke and Craig (on drums), and also a couple of young boys and a jack in the box clown. The lyrics are about a male wanting to leave behind boyhood and become a man, but other people (such as his Mum) are not allowing it to happen, as in the line "I read all the newspapers but my mother still reads my mail". The single entered the UK singles chart at No.17 on 13th March, making it the highest new entry, reaching No.2 the following week (20th March). The song spent four weeks at No.2, being denied the top spot by Aswad's "Don't Turn Around" for the first two weeks, and then by Pet Shop Boys with "Heart". Penned by the former Pet Shop Boys manager Tom Watkins (who was also Bros's manager) and Nicky Graham, the single also reached the top 10 in numerous other countries, including Ireland (No.1), Norway (No.2), Switzerland (No.5), Australia (No.9) and West Germany (No.9). It was released as the follow-up to "When Will I Be Famous?". 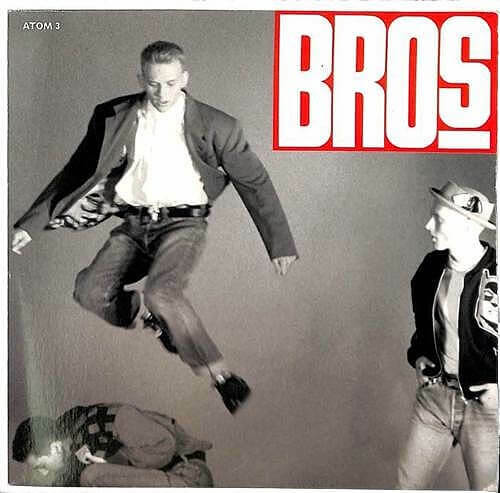 All versions of the single (7", 12", 12" Art Mix and CD) featured "The Boy is Dropped" as a B-side. The 12" single included the The Shep Pettibone Mix and also The Shep Pettibone Dub Mix. The 12" (Art Mix) instead included The Art Mix and The Shep Pettibone Dub Mix. A further three singles were released from Push; a remixed re-release of "I Owe You Nothing" (No.1), "I Quit" (No.4) and the double-A side "Cat Among The Pigeons/Silent Night" (No.2).